Have you ever wanted to know more about NOSH and how it all started? 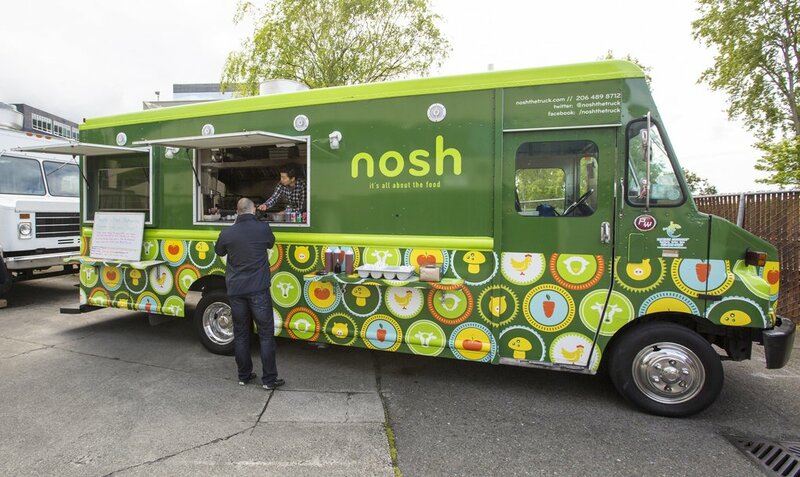 We wanted to bring you closer to the Seattle food truck community and decided to ask NOSH a few Q&A’s. Read below to get the inside scoop! TELL US A BIT ABOUT NOSH – WHAT ARE YOU GUYS ALL ABOUT? 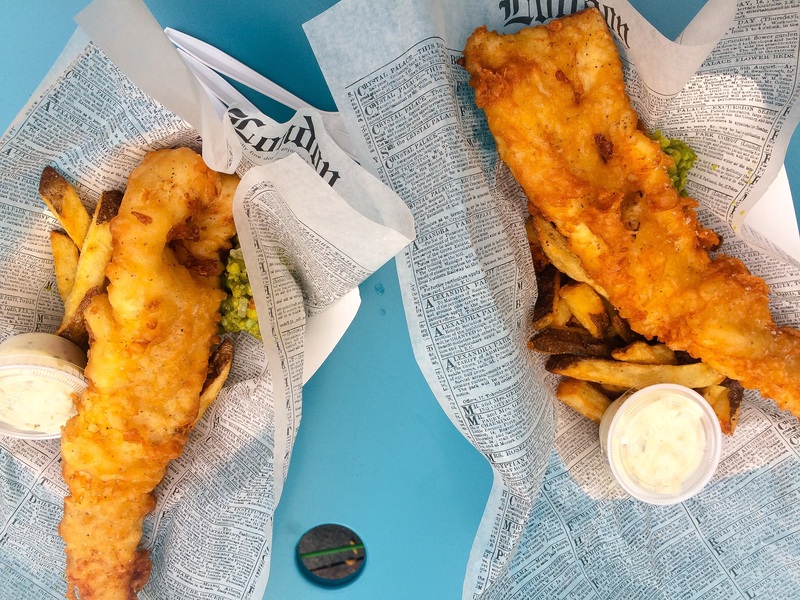 British Fish & Chips! 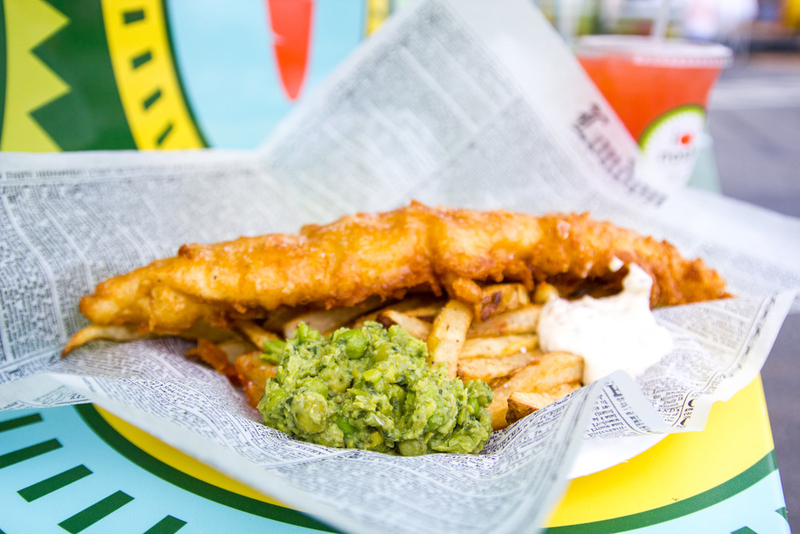 As we are British owned and operated, we know a thing or two about fish & chips. 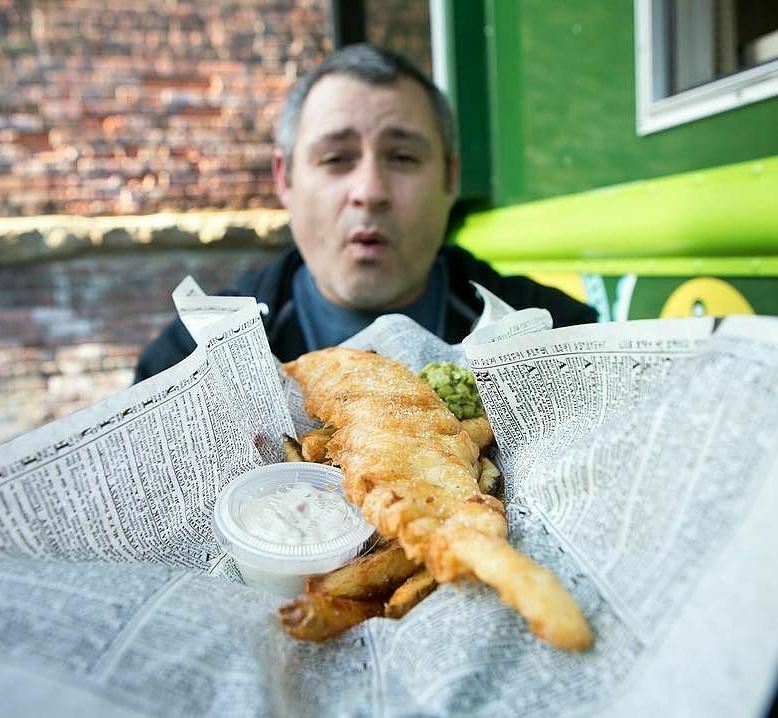 The fish we serve is wild-sustainable hook-and-line Alaskan Cod. Our fish is not “stepped on” by any middle man and we pick it up from the dock. Our supplier and partners know and understand our requirements. We know the captain's name, where it was caught, and even the name of his dog. We have providence and pride in what we do. The rest of the menu is exceptional, including our grass fed roasted bone marrow. Our sauces and stocks are made in house with everything cooked to order and nothing hot held or scoop and serve. We built and launched a couple of food trucks for a few famous TV food personalities back in 2012 and thought, “hey, we should do that too”. It's the hardest job in the world and can take a real toll on the mind, body and soul. Has to be Westlake Park. It has become a bit of a loyal cult following that waits patiently in line… it’s a sea of faces! On our “Fabulous Fish Friday’s” we can push out over 300 orders in 3 hours of perfectly golden fish & chips cooked to order. It's a thing that we do that is mentioned in the same way as Paseo’s & Salumi. We are very grateful and humbled for our customer base. Fish & Chips. But! Our caprese baguette is our second best seller. With house made globes of mozzarella on a butter toasted Macrina baguette we put roma tomatoes, arugula salad, shaved red onion and thinly sliced prosciutto on top with our house made balsamic saba. We’ve been around the block a few times, so we know what to expect and trouble shoot on the spot. Truck maintenance and check lists are everything. If you forget to take something needed, you're going to be stuck. If your truck doesn't start or your generator breaks down, your income stream suffers by 100%. We're always evolving and store fronts seem the natural progression. We're always in demand and never seem to have enough trucks. When the right opportunity presents itself, we will know. We have a couple of irons in the fire so to speak. Mrs. NOSH. Without her, we wouldn't be where we are today. She is mindful and filled with love whenever we cook for her. Dinner parties can put pressure on you to perform!